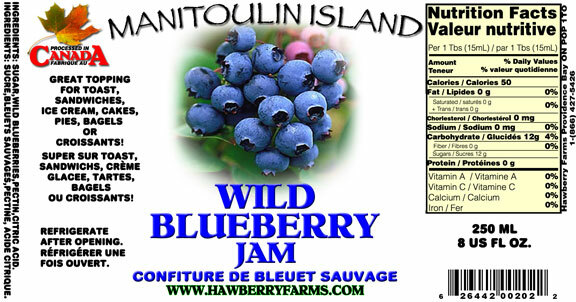 Click the button below to add the Wild Blueberry Jam to your wish list. Ingredients: sugar, wild blueberries, pectin, citric acid. this is without a doubt the very best blueberry jam we have ever eaten. The berries taste like fresh picked. I usually order by the case as my friends and family ask if I have anymore. Thank you!!! !